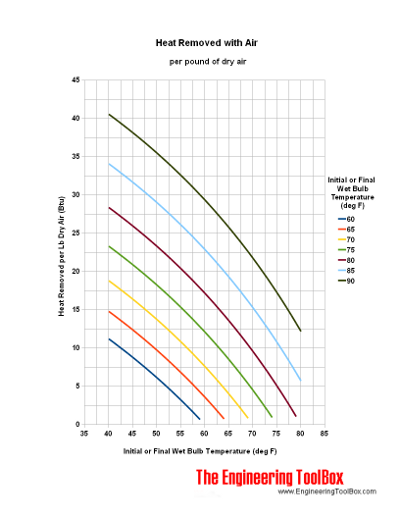 The wet bulb temperature is a measure of the total heat in moist air - the mixture of dry air and vapor. 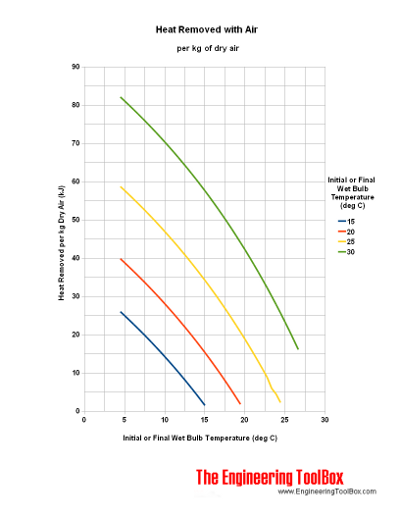 If the initial and final wet bulb temperatures in a heating or cooling processes are known - the heat transported by the air in the processes can be calculated by using the charts below. 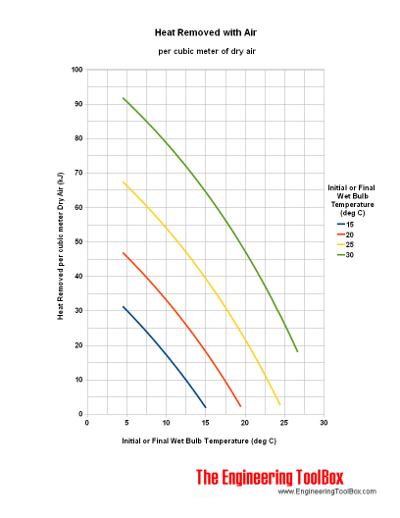 Heat Transported by Air - Btu per Cu. Ft.
Engineering ToolBox, (2010). Removing Heat with Air. [online] Available at: https://www.engineeringtoolbox.com/heat-removed-with-air-d_1577.html [Accessed Day Mo. Year].